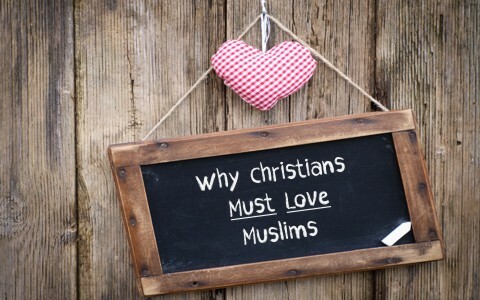 Should Christians love Muslims? What does the Bible say about loving others, even outside of the church? The command to love our neighbor as ourselves is not new. It’s been taught throughout the Old Testament as in Leviticus 19:18 where it says, “You shall not take vengeance or bear a grudge against the sons of your own people, but you shall love your neighbor as yourself: I am the Lord,” and if you read all of Leviticus 19, you’ll see what loving your neighbor looks like. It provides for those who cannot provide for themselves, which is why the corners of a field where never completely gleaned. It left enough for the poor to gather food. It also did no harm to a neighbor by stealing from them. Loving our neighbors is not just saying it with words, but proving it’s real by action. Our deeds outweigh our words almost every time. Jesus was once asked, “Who was my neighbor?” to which He pointed out, it is to anyone you see who is in need. The Jews hated the Samaritans, but he was the only one to give help to a man who was robbed and beaten while the Jewish “religious” crowd went out of their way to avoid him (Luke 10:25-37). Perhaps they thought they might be next…or they wanted to have nothing to do with him. Whatever their reason, they had no excuse. The religious leaders knew the law (Lev 19) but still ignored it. Jesus said that the second greatest command, next to loving God, is “You shall love your neighbor as yourself” (Matt 22:39), but the Jews weren’t loving their neighbors, especially the Roman occupiers, and they weren’t loving the Samaritans. In fact, they despised them more than others, so Jesus isn’t limiting this to Christians helping Christians, but Christians helping non-Christians. Loving them has to do with how we treat them and what we do for them, regardless of their skin color, ethnic origin, or faith (or no faith). This includes those who are in cults or apostate churches. Loving our neighbor has no fence line…it extends to all and includes all. Jesus, in giving some of the most radical teachings the world has ever seen, taught that we are to do good to those who do bad things to us. Typically, the world gets even, but the Christ-follower is called to something higher. It is the Word of Jesus that we must adhere to, and He says, “Love your enemies and pray for those who persecute you” (Matt 5:44). I know two practicing Muslims and they are not hostile to Christianity at all, and I am not hostile towards them, although I am opposed to Sharia Law. These two Muslim men also say they think that Sharia Law goes too far in the treatment of women. The point is, I don’t antagonize them or tell them they’re going to hell, but rather, I try to share Jesus Christ with them, and most frequently it is something out of the Gospel of John. It seems that gospel is powerfully moving among Muslims, Jews, agnostics, and even atheists. That gospel shows the passion of Christ, the love of Christ, the sacrifice of Christ, the heart of Christ, the suffering of Christ, the security in Christ, and the assurance of Christ (e.g. John 10:27-29). Listen to Jesus words sink deep into our minds and let them be our standard, not what we think. The Lord said, “Love your enemies, do good to those who hate you, bless those who curse you, pray for those who abuse you” (Luke 6:27-28). I’m not sure about you, but I’m going to need Christ’s strength to do this (Phil 4:13), because without Him, I have no chance of loving those that hate me. That sounds impossible, and it is in our own strength, but loving those who hate us is our calling, and this is what the children of God do (Matt 5:45; Luke 6:35). It is not the Muslims that we must reject and have nothing to do with. It is Sharia Law that we are opposed to, but we can still love Muslims, like we are to love everyone else, and still not condone Sharia Law. Think about this: The Apostle Paul reminds us that “while we were still weak, at the right time Christ died for the ungodly” (Rom 5:6), and “God shows his love for us in that while we were still sinners, Christ died for us” (Rom 5:8), and even “while we were enemies we were reconciled to God by the death of his Son” (Rom 5:10a). If they put their trust in Christ, God accepts them, whether they used to be practicing Muslims, hostile atheists, or in many of the cults around today passing themselves off as a church. God died for us, while we were still His enemy, so how can we not love our enemies and pray for them to be saved. It is God’s desire that none perish apart from Christ (2nd Pet 3:9). That should be our desire too. God created Muslims in His image, so there is no Jew nor Greek nor Muslim nor Buddhist, but all are one in Christ. Of course, they must leave their faith in order to trust in Christ because you can’t ride two horses at the same time. It must be one or the other, but that’s up to God to save. It is extremely unlikely that the Muslim you see on the street or at work is a terrorist any more than an ordinary man walking down the street. The vast majority of Muslims you will meet will be antagonistic toward you are your beliefs and are peaceful, law abiding citizens. They are a lot more like us than we think. They too are struggling in the world, and they, like we once did, need Christ in a most desperate way. To those who placed Jesus on the cross, He prayed, “Father, forgive them, for they know not what they do” (Luke 23:34). Can we pray the same way, whether we’re talking about your next door neighbor, the guy across the street, or the Muslim that you just happened to meet? Pray for them to be saved, and don’t hold them accountable for things they didn’t do. It’s not their fault when an extremist Muslim carries out a terrorist attack. That’s like trying to blame the past evils of slavery on me when I wasn’t even born. Next post: How Can Christians Avoid Sin?